Lead generation is a tricky thing, especially in the B2B industry. There are often multiple people involved in the decision-making process, and sales can take months to complete. Add to this that the average person has an attention span of a few seconds, and it can seem impossible to get noticed by the right people. It is therefore not surprising that 63 percent of marketers in a study last year named generating traffic and leads as their top marketing challenge. To overcome these struggles, marketing- and sales teams are looking for the perfect way to create new opportunities. They use content marketing, organize events and buy ads in the real world or online. But the effectiveness of these strategies is a topic of discussion. People have become numb to advertising and only respond to those outreach attempts that interest them. So how do you know the best way to contact a potential client? And where do you get the data to create the perfect customer profile? To answer these questions, we often overlook one of the most valuable sources of information: a company’s website. In our digital age, over half of all businesses in the U.S. have an online company page. 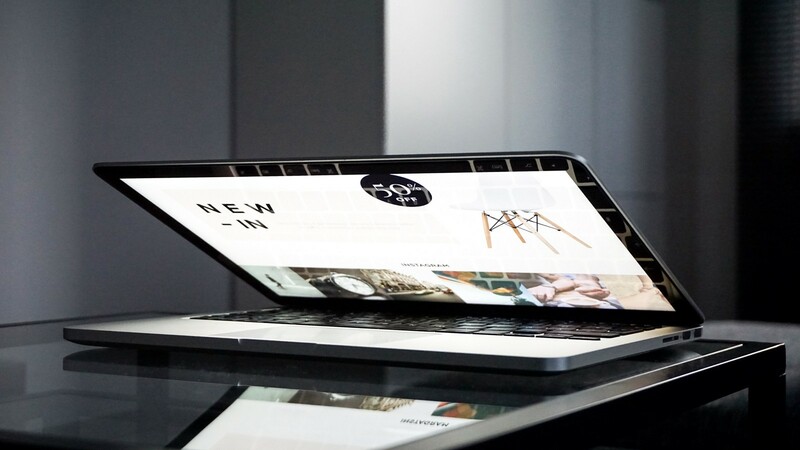 Most firms use this site to stay in touch with their customers and provide potential clients relevant information — but a company website is useful for much more than that. Reputable businesses are likely to feature their contact information on their website. This way, those who are interested in the firm can reach out. These contact details are usually up-to-date, as it is critical for a business to be reached by their prospects. That makes a company website the perfect starting point for your lead generation — it gives you the contact information for the business you want to reach. It is freely available, most likely relevant and easily found. In addition to its contact information, a company website can tell you a lot about a business. It depends on what you sell of course, but often a site can show you which of your products and services are beneficial to the website’s owner. Let’s say your business focuses on a Search Engine Optimization product and you visit the site of a potential client. You can look for the signs of a well-designed web page and features that benefit their Search Engine Optimization score. If you notice details that can improve with some help, you have the perfect reason to get in touch. This knowledge not only gives you a good starting point for communication with your prospect, but also allows you to personalize your outreach. People may not be that susceptible to advertising anymore, but they are a lot more likely to read messages tailored to them. If we go back to the Search Engine Optimization business — they could give their prospects some pointers on how to improve their SEO score. This message provides the potential client with a quick benefit, and if they notice that their website does better in search queries, they might be willing to pay for further services of the SEO business. If direct messaging isn’t your thing, a company website can also help you with inbound marketing. It can be a real struggle to come up with content that reaches your audiences and engages them in a meaningful way. You can, however, use a company website to help you create exceptional content. Just have a look at the site of a prospect and what their problems might be, and then create informational content that helps solve those issues. It will make people more likely to click on your articles and can benefit your business in the long run. Many companies offer Big-Data-as-a-Service solutions or provide data in another way, and their prices vary. You can receive data for 1000 dollars a month or pay up to 100.000 dollars each year. Before you enter a deal with one of these businesses, make sure you consider your budget. Data collection companies often specialize in a kind of data. It can be personal information, business details or the technical aspects of a website. Always look at the type of data a business collects and whether that data fits your needs. If you are looking for a lead generation tool, make sure the database includes at least company information and contact details. If you have found the data you can use to benefit your business, consider which colleagues will be working with that data. There will likely be sales representatives and marketing professionals who can use the data to their advantage, but working in a data program might not be for them. See if those colleagues use Excel or have a personal system, and make sure that your data provider allows you to extract the data from their platform and use it in other solutions. It is not always easy to get the right data from an extensive database. If you are not confident with your skills, look for a data provider that can help you in case you need it. If you prefer to work with the data yourself and do not feel like you need help, choose a self-service product. Data on its own can fail to paint a picture. If you can see the data in the form of charts, graphs, and maps, however, it can provide you with insights for multiple departments within your business. Big data can be intimidating, and a solution that allows you to create reports that are easily readable can be a real benefit if you want to get everyone engaged. The Internet is a great way to grow your business in more ways than one. It might take some extra time to get used to a data-driven strategy, and you may need to convince your colleagues to get everyone on board, but it will be worth it. The use of data to streamline business processes is indispensable if you want your company to compete. Would you like more information on lead generation and the ways in which Dataprovider.com can help with this? Contact us via info@dataprovider.com. Writing — Baking — DIY — Running. Also, Communication Advisor at Dataprovider. We index the web and structure the data. Dataprovider.com transforms the internet into a structured database to help you gain insights about companies.